Start your morning with a continental breakfast while you get ready for an inter-island adventure on the Explorer Super Raft! Zoom across the channel towards the island of Lanai as the captain selects two off-shore snorkel sites with the clearest and calmest ocean conditions. Spinner and bottle-nose dolphins are often encountered off the island of Lanai along with lots of tropical reef fish. You can book a maximum of 36. From Kihei (22mi, 45min): Head NORTH on S Kihei Rd. Turn left onto HI-31 and continue onto N Kihei Rd. Take a left onto the Honoapiilani Hwy (HI-30). Once you reach Lahaina, take a left onto Front St. The Lahaina Harbor will be on your left. Parking Information: Metered street parking and paid parking lots are available around the area. Free parking is available at the corner of Front Street and Prison street, but fills up early. 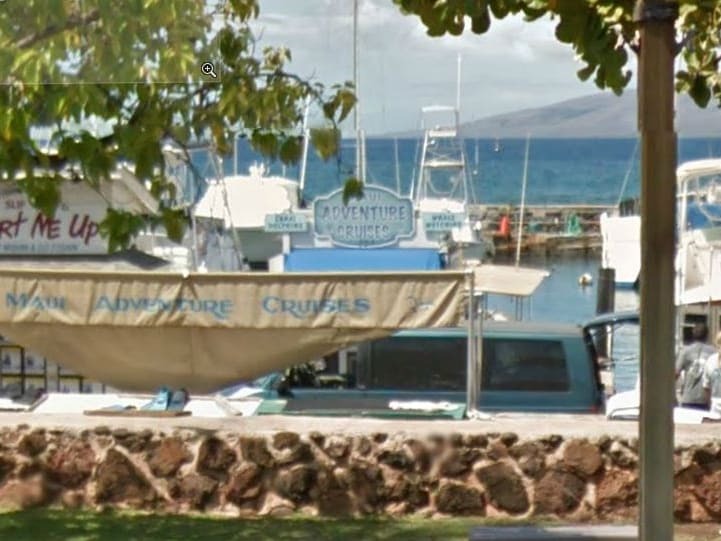 Parking at the Lahaina Harbor is also available for a small fee. No, you are not required to be able swim. You are welcome to stay on the boat, or grab a "noodle" flotation device to hold on to. No, they are not available. If you have your own prescription mask, please bring it along. A 49-foot scarab racing hull raft Coast Guard certified for 49 passengers, which is limited to 38 passengers for comfort. The vessel is powered by twin 315 H.P. turbo-charged diesel engines, has comfortable seating for all passengers, and an on-board restroom. Awesome trip! We saw lots of dolphins! Lunch was delicious. The captain was very knowledgeable! We had a great time on the boat. Rocket and David were very nice. I snorkeled and David helped out the crew. Our friends had fun too. Hopefully we can see you in Hawaii. Aloha!